Preschool classrooms are a very lively place. As early childhood educators know all too well, whining, trouble with sharing, and the occasional temper tantrum are all part of the average day with young learners. As Scholastic resource Parent & Child explained, the years between 2 and 5 are some of big change, which is why some of these behaviors are a quite normal response. However, it's important to recognize which problems are a result of developmental change and which have become out of hand. As author Dr. Susan Campbell explained to Scholastic, preschool-aged children have yet to gain control over their impulses and, as a result, they lash out with somewhat aggressive behavior. Stemming from a fight over a toy or because a student did not get his way, kicking, biting, and hitting are all common behaviors in young students. These types of behaviors are typically more common in boys than girls, though any preschooler can exhibit these behaviors. That is because girls are usually quicker to develop language skills and thus, have learned to use their words to solve differences before boys have. According to Campbell, 95 percent of this kind of behavior is perfectly normal among young children. There are several ways to handle this kind of behavior. As online health and wellness resource VeryWell explained, talking about emotions can help a child communicate how he or she is feeling before they turn to aggression. If problem-solving techniques don't work, discipline should involve logical consequences and should occur immediately after the behavior is exhibited. One such example is redirection, which involves helping the child find another suitable activity in which to engage. 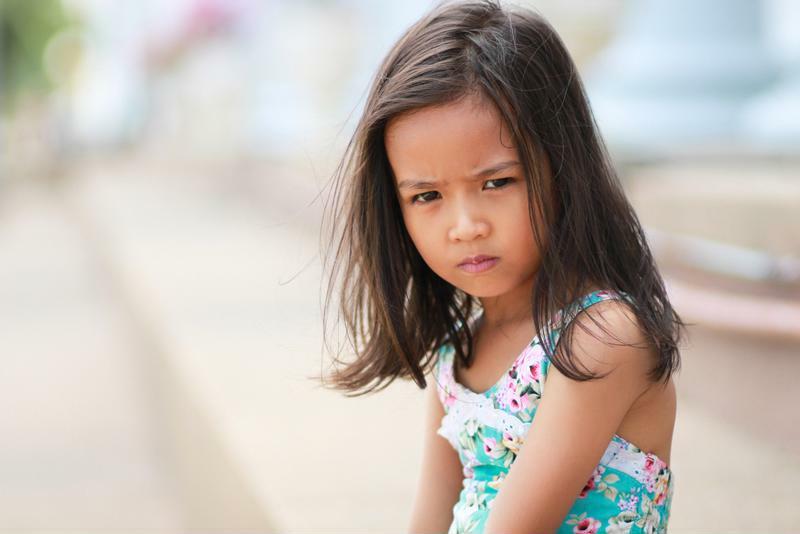 Most defiant and aggressive behavior among preschoolers is normal. As both Scholastic and VeryWell explained, toddlers are at the stage in which they want very much to be independent, but are not quite capable of accomplishing all that they want to on their own just yet. This is due to a lack of language, cognitive, and emotional development. Since these young students don't quite know how to ask for help, they often act out and are known to shout "No!" pretty frequently. Refusing help or even just using the word to be defiant is common at this age. In fact, reporting on a study published in Child Development, Parents magazine reported that children between the ages of 2 and 3 are known to argue with their parents 20 to 25 times each hour. According to the source, this is one way that kids actually start to gain a sense of confidence and feeling of control. As an early childhood educator, the best way to react to defiance is to be positive, provide choices, and reinforce good behavior. Though some parents will not like to admit it, everyone's little one has a tantrum at one point or another: It's all part of children's growth into independent thinkers. When whining turns into a full-blown tantrum in the classroom, there are several ways to handle the situation. Throwing tantrums is a familiar and fairly common behavior for young children..
As Smart Classroom Management explained, your No.1 priority as an educator is the safety of the rest of the class. When a child begins to act out, it is important to take control of the rest of the students and ensure that they are listening to you. Shift the lesson or activity away from the student throwing the tantrum. Once the remaining students are distracted, turn your attention back to the problem. The source advised that it is best to wait and observe before rushing over to the child, as this has the potential to escalate the situation. After the child has calmed down, be sure to address the problem and work toward a solution together. After such an incidence, Smart Classroom Management expressed the importance of getting the classroom environment back to normal as quickly as you can. According to VeryWell, lying is a common trend among preschoolers. Often, this is because books and television have depicted unrealistic situations so these young learners are still grappling with a sense of what is real and what is make-believe. So while fostering that sense of creativity and imagination among your preschoolers is great, it's important to recognize when that crosses the line and becomes lying. Take the opportunity to teach children what it means to tell the truth and include new language that can help them do that. As an early childhood educator, you will experience all kinds of behavior in the classroom. The important thing is knowing how to handle it.